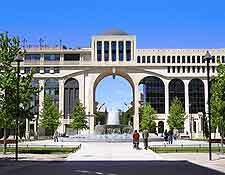 An innovative university city filled with energy and vitality, Montpellier's reputation for hospitality continually attracts tourists. 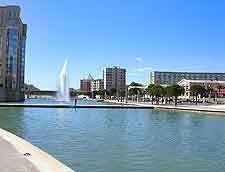 For many years, Montpellier was the biggest city within France's Languedoc region and is today amongst the country's fastest growing cities. Close to the beautiful Mediterranean coastline and many sandy beaches, Montpellier has never had more to offer in the way of seasonal tourism. Many of the best sights have grown up in the Old City, which forms the very heart of Montpellier, being characterised by a series of narrow alleys and plentiful restaurants and bars. Now one of the region's leading tourist destinations, Montpellier is home to a plethora of varied attractions, which often attract large numbers of visitors. The Cathédrale St. Pierre is just one of many and dominates the area with its eye-catching twin towers. For a spot of family fun on a hot day, the Piscine Olympique d'Antigone water park features fast chutes, a pool and whirlpools, while those who would like to explore the city properly should take a stroll along the Promenades en Calèche, or even a trip in one of the many horse-drawn carriages. 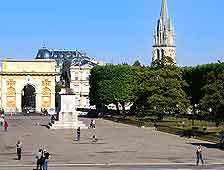 Some of the most noticeable structures in Montpellier are based around the famous Place de la Comédie, none of which are more instantly recognisable than the 17th-century Arc de Triomphe, an iconic version of the Parisian landmark. A recognisable mark on the city's skyline is the steeple of the Carré Sainte Anne Church, which has the appearance of a dreamy fairytale tower. Occasional guided tours of the city's main grand private mansions are also available and these imposing residences are known locally as the 'Hôtels Particuliers'. 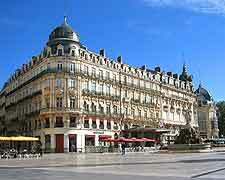 More information about Montpellier Tourist Attractions and Montpellier Landmarks. A number of quality cultural attractions present themselves to tourists looking for information about the city's rich heritage. The Musée Languedocien contains an extensive collection of Gallo-Roman treasures and artefacts, while for history about the city's past, the Musée de Vieux Montpellier is the place to head. For traditional art works, the Musée Atger contains many European masterpieces and traditional works by acclaimed French artists. 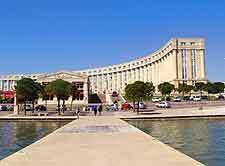 More information about Montpellier Museums and Montpellier Art Galleries. The Languedoc-Roussillon region of France contains many interesting cities and towns, close to Montpellier. If you have time, try to pay a visit to the city of Nîmes, where Roman architecture and remains abound. Also nearby is the city of Sète, which often goes by the name of the 'Venice of Languedoc', due to its waterways and magnificent Mediterranean setting. For some of the region's best beaches, the seaside resort of Agde is around 63 km / 39 miles from Montpellier and features many charming streets and a quaint harbour. 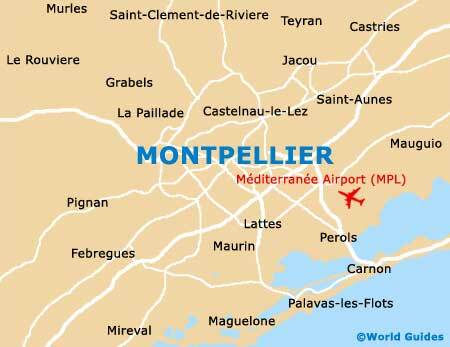 More information about Montpellier Attractions Nearby.